To Be Announced in August! This is the first level prerequisite for our Intermediate and Master Herbalism program levels offered at various locales in the U.S. and Ontario, Canada. Certificate level beginner courses offered range from 15-40 hours. The above course is offered in many locations. Friday, June 28th Special Plant ID hike/workshop, too! Visit: Special CAM Courses Page of our website, too...more info there about some of the above. Check this list and Special Course Offerings Page frequently as new sessions are added. What style and format are the courses? The majority of our programs, courses and workshops are in-person, hands-on and seminar style with the most exciting nature immersion field studies--from woods to water in the northern Glacial Rivers and Lakes region to Lake Superior. We offer in-person, long distance online and combination programs with students participating from Sedona, Arizona to Yucatan, Mexico and isolated isles of Alaska. What about special cross cultural programs & eco tours? Boreal Botanicals Field Study Program near the Ontario, Canada borderlands as well as one in Thunder Bay Canada. See our Special Course Offerings Page this website. Is Green Wisdom for you? Green Wisdom is for you. Our instructors are enthusiastic, committed to the plants, people and this precious planet. Lead instructor & advisor, Gigi Stafne, MH, ND will help guide you to the most aligned botanical program or course to fit your dreams and desires, helping you to fulfill your life's potential withing natural and botanical medicine. There's something for every plant medicine student, from 3-hour community workshops to our 1400-1700 hour professional Clinical Master Herbalism Program. What do some of our Green Wisdom graduates have to say? "Gigi brings all the elements together in her courses. I gained an understanding of botanicals, explored traditional rituals & celebrations, and picked up the tools to continue on my path of discovery, sharing botanical wisdom." A great deal more confidence, getting to know the herbs in a different more objective way gives a lot more confidence to me because I like to know how things work. I discovered that I am really interested in the energy of herbs. I have taken classes on herbal energetics and was kind of ho-hum about it all until I dove deeper into the background and the system of TCM. I like systems and seeing patterns. I discovered how amazing and powerful herbs and herbal medicine is on SO many levels. Levels that just employing my intuition wouldn't reach. I learned my intuition about some herbs was right on the money and why. I feel so much more ready for clinical work. Who have Green Wisdom students been in the past 3 decades? Students come from many different life and career pathways. They have been nurses, physicians, pharmacists, physical therapists, chiropractors, pharmacists, massage therapists, midwives, doulas, acupuncturists, organic gardeners, farmers, parents, personal coaches, physical trainers, therapists, teachers and business people. Not to mention naturalists, environmentalists, community organizers and activists! Some of our most dedicated students engage in our natural medicine programs for their own individual and family's health and wellness. 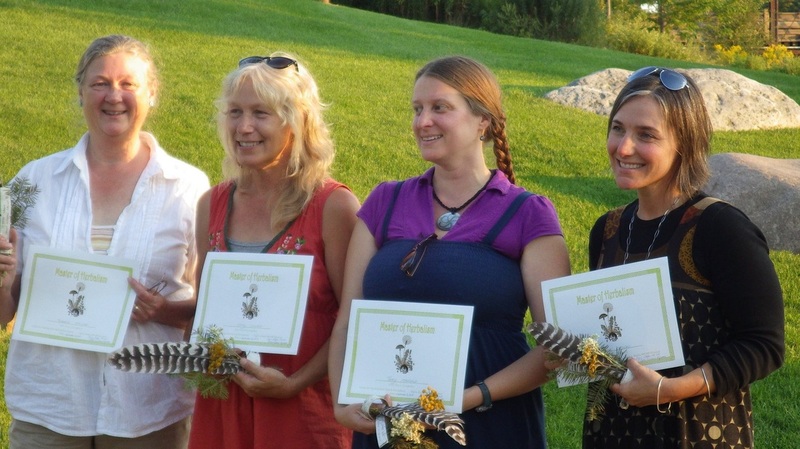 Consider joining the powerful tribal circle of earth healers and community herbalists! "My heart was in herbalism--without the knowledge! Taking classes with Gigi Stafne, Master Herbalist, gave me the substance and information needed in using herbs in the practice of herbalism. Identification and usage are extremely important. I finished the course with the knowledge of both. The classes were deliberate, intense, knowledgeable, fun and filled with information. Recommend it to anyone who is serious in staying the course, it is not for the weak-hearted. You must be motivated." "Thank you for the Materia Medica...that was one of the best take aways from the class for me. I work so well by example, and I had not had as good an example for how to compile (herbal) information until taking your class...my scientific mind always wants the empirical aspects of the work--the research, the data, the results others have experienced. I like this way of collecting information and personalizing it for my own use!" What do Green Wisdom students do after graduation? Visit our CAREERS/JOBS page this site to learn more! "The Master Herbalism Program with Gigi Stafne was inspirational, uplifting, thought provoking and extremely informative. This program changed my life for the better. After attending Gigi's classes I would feel extremely good about myself. I highly recommend this program." Our Instructors, Contract Teachers, Guest Lecturers and Internship Supervisors include inspiring teachers, assistants and interns whom are herbalists, healers, nurses, organic growers, alternative energy & sustainability specialists, wilderness medicine experts and outdoor educators. With new guest speakers each year! Nature immersion and passionate plant studies at their finest! Dive into this one-of-a-kind 70+ hour course offered one full week each summer in the Upper Midwest United States including the Lake Superior Region. Do you have a passion for the plants? This intermediate level certificate course has been taught for 31 years, evolving each year as new environmental and sustainability issues arise. Pack your medicine bags! Trek to exciting field sites for hands-on learning in herbal, environmental and sustainability issues. Hike, paddle, plant...engage in wild nature studies from the boreal forest to wetlands! Even from the vantage point of kayaks and canoes in the Glacial Rivers & Lakes region of Wisconsin. 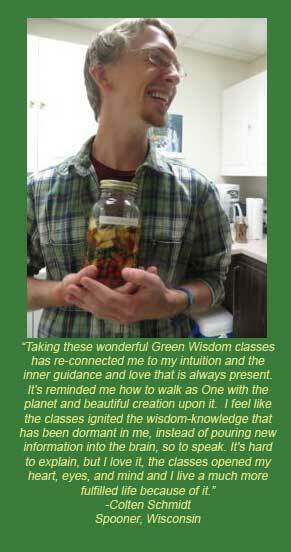 Green Wisdom's summer program is much more than an herbalism class. Our past students at it is a hybrid of herb school, summer camp, a vacation and more. Definitely an exciting adventure! Explore native, medicinal and cultural plants, attune to your authentic wild self and our precious natural environment. 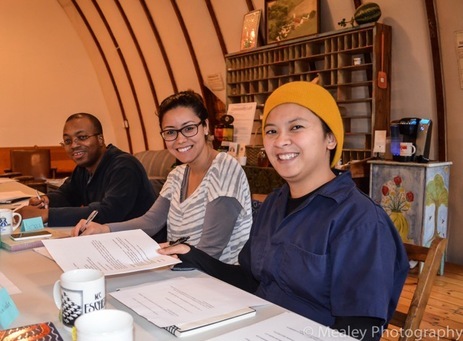 This class is an essential experience for continuing herbalism apprentice students, too. 13 Daily herb, tree, shrub, fungi and lichen identification...70-100 in total this week! Careers in Herbalism! Plus visits to regional herbalists including: Herbal CSA, Herb Apothecary, Organic Farm, Art Gardens, Cidery, plus other herb businesses and surprises! Lead instructor is Gigi Stafne Master Herbalist, Naturopath, with 33 years of teaching and practicing in natural medicine and herbalism, director of Green Wisdom School of Natural and Botanical Medicine, former Executive Director of Herbalists Without Borders International. AND, other amazing plant guides, teachers, lecturers! Joanna Czubernat, MH, Chris Janaky MT, Kerri Kiernan, Master Herbalist, Erin LaFaive, Master Herbalist, Patrick Miller, Friendly Fungi & Forager, Janet Quaderer, Master Herbalist, Amy Shea, Master Herbalist, Jenn Stoll, Master Herbalist, Jo Vidito, Master Herbalist & Bioremediation expert, Tammy and Brian Michelson of Maple Hill Farm, Wild Earth Eco Tours, Sasha Zavyalova, Master Herbalist,and others! Early Bird Special! Pay full tuition by April 1, 2019...receive $195 off! Limited seats in this inspiring nature immersion course. ​A unique program in North America, spaces fill quickly. ​We usually maintain a Waiting List if needed. ​All registrations and tuitions must be sent in no later than May 15-31, 2019. Work study opportunities: These are assigned by February 1-18, 2019. This is an amazing intensive! June 17-23, 2019 (Monday-Sunday). Times approximately 8/9am-5/7pm daily depending upon our field trips, tours and explorations. ​Final Sunday, graduation day, we end early by 12-1pm CT.
Tours/sessions times may vary slightly, students will know in advance. Locations: Central hub in NW Wisconsin about 2 hours from Minneapolis, MN. All trips in WI & MN sometimes extending beyond for field study trips. Assistance is available with camping, lodging and other recreational opportunities such as kayaking, hiking, swimming and other recreational activities in the north country. Students/participants must have the physical stamina to do light hiking and kayaking (kayaking is optional during the one day we paddle). All participants are required to include health issues on their medical form, must sign a disclaimer and sign the portion related to WI State Recreational Statue. If you have a special condition that would impact your ability to participate, please reach the school director below. There is another independent study option to accommodate students with special needs. ​Tuition Fee: PayPal, credit cards via PayPal, checks or cash accepted. No refunds within this program after June 1, 2019. Also, visit our Q and A/Policy Page of this website. Thank you. Our Master Herbalism Program (MH) is an advanced botanical medicine course, taught for 30 years, geared toward graduate level studies consisting of 1700-1900 hours of academic work preparing student graduates for a wide range of natural and botanical professions. Academic tracks are a combination of: monthly in-class professional style seminars (with the exception of winter months--which are online), independent work, monthly 1:1 student-advisor meetings, student clinicals, and practicum participation in either community free clinics hosted by Herbalists Without Borders or other community settings close to the student's home base. Beginner & Intermediate Herbalism courses (above) are both prerequisites, however some exceptions are made where sufficient previous experience has been accomplished. Our MH program is now a 5-quarter program, with average study time outside of class per week is 15-20 hours. Some students opt to engage in our new accelerated program which includes all hours in 3 quarters (an especially good option for students who enter this program with numerous credit hours already accomplished), while others decide to take the program for the normative 5 quarters. Yet others whom have very busy lives, opt for extensions to complete their program depending on individual life circumstances. There is an additional monthly fee if extensions are needed (below) and our school requires that all MH students complete their work within 15 months of their start date. 40 hrs Western Herbalism, 80-90 hrs Herbal Pharmacy & Apothecary, 80-90 hrs Green Medicine Making & Applications, 30 hrs Professional, Ethical, Legal Issues, and 10 hours First Aid or Wilderness Medicine. To graduate, each student creates a Master Herbalism capstone project, seminar or thesis on an aligned subject of personal or professional interest to her/him that consists of another additional 100+ hours, which is to be completed during the 5th or final quarter of this academic program. Plus other elective and transfer-in credit hours. Fall 2018 (2018-19) Program Tuition: A deposit of $295 is required with your application. This applies directly to your first academic quarter MH tuition. Deposit is refundable if not accepted into program. We strongly encourage students to apply early, as this program is limited to 7-8 students. Our comprehensive Master Herbalism Program consists of 5 sections or levels that students must complete in order to achieve their Master of Herbalism degree and certificate from our school. Each level is the equivalent of one quarter or approximately three months. Quarter tuition must be paid 10 days prior to the start of each quarter in order to participate. First Quarter is shorter, thus tuition for that quarter is: $1000. Tuition rate for subsequent longer quarters (2-5) is $1750 per each quarter. If you are a student with considerable credit hours previously accomplished, please schedule an advisor consultation to learn if you are eligible for the 3-quarter accelerated track of this program, thus saving on tuition, money and time. IMPORTANT NOTE: Many of our eligible students pay considerably less than the full tuition program fee if in economic need. The average total tuition paid per student for our entire Master Herbalism program is in reality $4000-$6000 after discounts and work study. Special August Discount: Master Herbalism students who opt to pay their full tuition for all 5 levels (quarters) before August 1-15, 2018 are eligible to receive $1000 off the top of their full tuition. Contact our school directly for tuition, policies and procedures for our Master Herbalism Program. If you do not complete your Master Herbalism requirements within the allotted 5-level/5-quarter program time period that is our normative enrollment, there is a limited Extension Request Program. Extension fee per month is $300 beyond the scope of the original 5-quarters enrolled. That fee is due the first of each month. Maximum extension is 90-days. Students who are in the accelerated 3-level (quarters) option and do not complete all of their academic work required within that time frame have 2 options: 1) To receive their Community Herbalist graduation certificate (see below); or 2) Pay continued quarterly tuition at the rate above for a period of 5 quarters. If an extension is needed beyond those 5 quarters, then the monthly extension fee above applies. 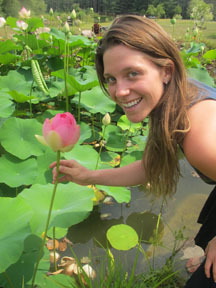 Advisor & Lead Instructor: Gigi Stafne, MH, ND. Lead Materia Medica Instructor: Amy Shea, MH, and numerous guest lecturers, herbalists, naturalists, specialists in their fields (see our Bio page). Our Master Herbalism Program consists of a small inspiring intimate group size generally 4-7 students. ​Some late applications accepted between August 1-September 1, 2018. Course enrollment closes 1-3 weeks prior to first seminar. Seminars begin September 2018--see dates below. Monthly 1:1 with instructor, weekly independent assignments, group classes and seminars. September 8, 2018, October 20, November 10, December off--holiday break, January 19, 2019 (online seminar), February 9, 2019 (online seminar), March 16, 2019, April 27 (optional-Grand Marais, MN meet-up), May 25, June 8, July (summer break--optional field day TBA), August 17 (early graduation for some students), September 21, September-November 2019 (MH Thesis Project Months--work with advisor/consults phone and online), November9, 2019--Final MH Graduation. ​Seminar dates 2019-2020 To be announced June 1, 2019 (similar to above). A team of three reviews each application. Students are notified of acceptance within 2 weeks of receipt of application. We look forward to having you apply. Thank you. ​Are you seeking additional clinical assessment skills as a natural medicine student or practitioner? Do you have interest in what your body is saying to you? Acquire and practice gentle, non-intrusive assessments, tools and techniques that are ancient yet hold an important place in contemporary clinical CAM, Complementary Alternative Medicine. This 2-day course includes instruction, case examples, plus peer-to-peer practice time. Have you taken several Herbalism courses and now wish to acquire deeper, wider wisdom? This intensive 2-day course is designed for herbal enthusiasts, CAM clinicians, health workers and others who feel they need more consumer and clinical information about herbs and other natural products being used by patients and consumers in North America. Topics include: Consumer product education (herbs to essential oils), legal status and classification of herbs, sample Materia Medica Monographs, 30 herbal clinical actions, indications and contraindications, precautions and toxicity factors. This course transcript and credit hours are transferrable to the Master of Herbalism Program in the Upper Midwest via Green Wisdom School of Natural & Botanical Medicine. Note: This is not a make-n-take course, but is rich in important, inspiring material.